Susan Wainscott, Swimtastic Swim School's Founder, brings to you an extensive background in human resources, office management and teaching swimming, along with experience as a mom and a B.S. in Education. Her love of children and the water has led her to own and operate two schools in the Waukesha and Fox Cities areas. Susan and her husband, Barrett, have partnered with SafeSplash Swim Schools, where the Swimtastic and SafeSplash brands can help lead others in franchising. 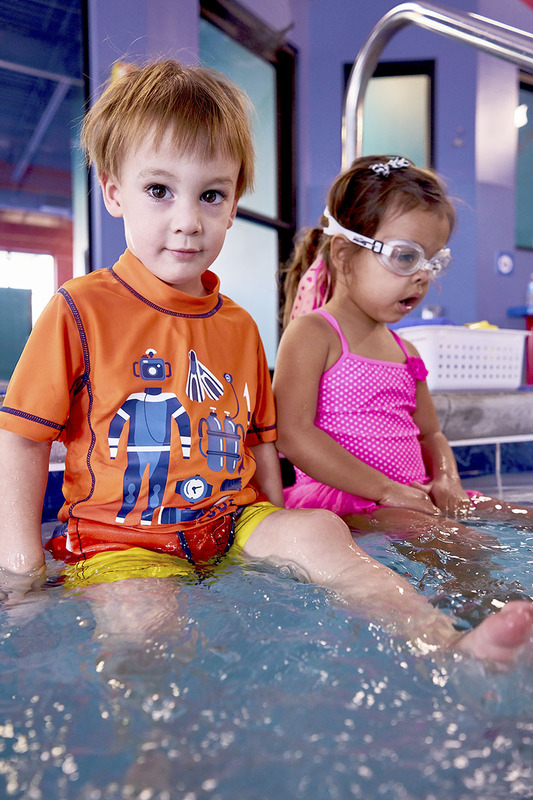 Each Swimtastic location provides the same consistent Swimtastic experience - classes to meet the parent's schedule and fun for the children while they learn to swim. Susan and the Swimtastic staff have well over 15 years of teaching success, teaching thousands of infants, children and adults proper swim strokes. 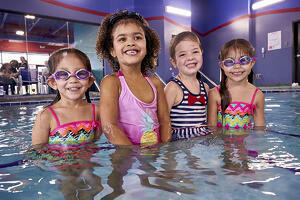 Swimtastic teachers are highly trained and qualified professionals who love children and the water. Each teacher is certified in CPR and Swimtastic Swim School's 30-hour training program. Swimtastic Swim School is trained in infant/toddler swimming through the United States Swim School Association - the leading organization on the cutting edge of the swim school industry. Our experience and tested teacher training programs mean that you'll have peace of mind from knowing that your child is learning from the best teachers in the business. At every Swimtastic location you'll find a building that was created for the convenience and comfort of both parents and children. Easy parking, convenient changing facilities, viewing areas for the parents all designed just for teaching swimming lessons. Warm, 90 degree 20' X 50' indoor pool - specially designed with steps along one end for comfort during lessons. Shallow 31/2 foot at one end to 41/2 foot at the other to accommodate baby classes and Swimtastic's signature water slide. This pool is designed to make children feel safe and secure while providing an optimal environment for teaching swimming lessons. Our large water slide at one end of the pool provides a "reward" for the children at the end of a swim class. It's also a fun attraction throughout kids birthday party celebrations and family swim. One of the necessities of swimming in a public pool is taking that shower at the beginning. Swimtastic even makes this fun with a warm palm tree shower located right on the pool deck. An environment designed to create an abundance of happy children from the moment they step foot in the door. Group Classes are limited to 4 children in a class. Toddler classes have a limit of 3. Our Baby Classes, where the parent participates, are limited to 6. These small class sizes allow for individualization of the lessons catered to the specific needs of each student. Children learn more, progress faster, and have a much more enjoyable learning experience in a setting where the child is able to work on a more individualized level with the teacher. Where learning and fun collide. Our students have a blast while they learn to swim, celebrating each success from big to small. Our comfortable environment is just the start. Each week of swim lessons has an entirely new theme. The lesson is structured around the theme where children can learn a little about starfish or the theme of the week while learning proper swim strokes. A creative learning curriculum constructed to maximize learning, progression, and engagement. Call, Come in, or Click. Whichever route you choose, we're here to give you the personal attention you deserve. Quick and easy, hassle-free registration designed with you in mind. We'll ask a couple quick questions to find the class level that fits just right, then find a time that works for your schedule. If you have more than one child, no problem. We'll find a time where your children can have swim lessons at the same time - even if they are different ages and in different levels. We hold 4 semesters per year - and you can start at anytime. Our small class sizes and unique curriculum allow the teacher the flexibility to adapt lessons to the individual needs of each child in the class. 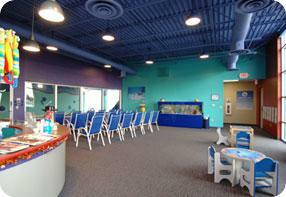 For your convenience, Swimtastic now features real-time registration online. Easy as 1-2-3!